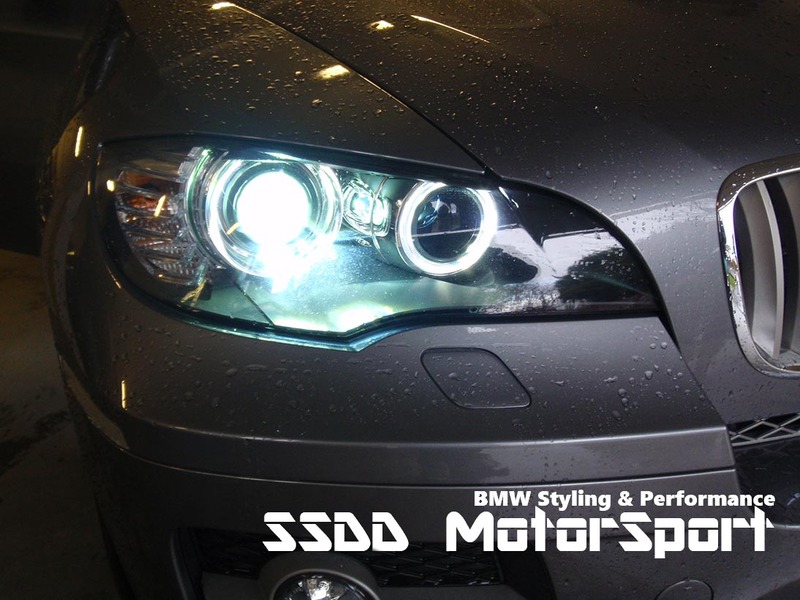 Super white LED Angel Eyes markers made with CREE LED chips! 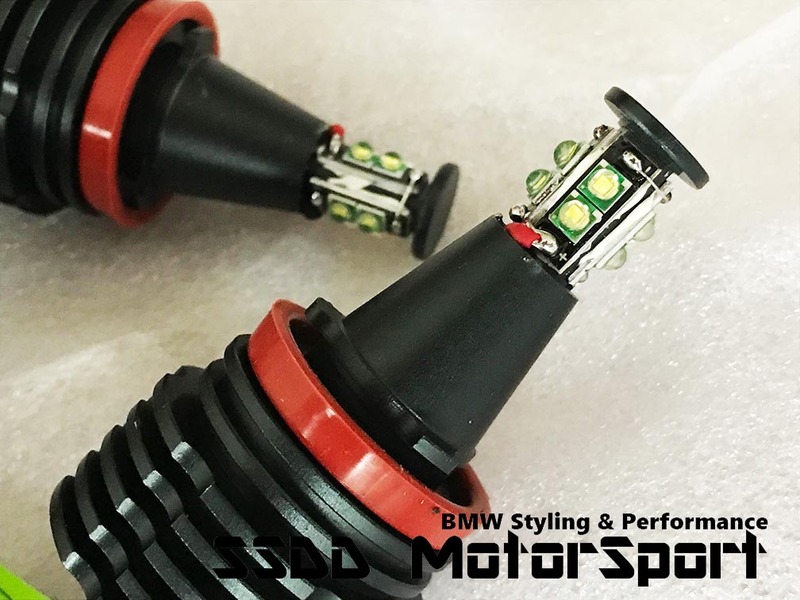 Designed to be a direct replacement for your yellow OEM H8 halogen angel eyes bulbs, these LED MARKERS will produce a much whiter angel eyes colour. 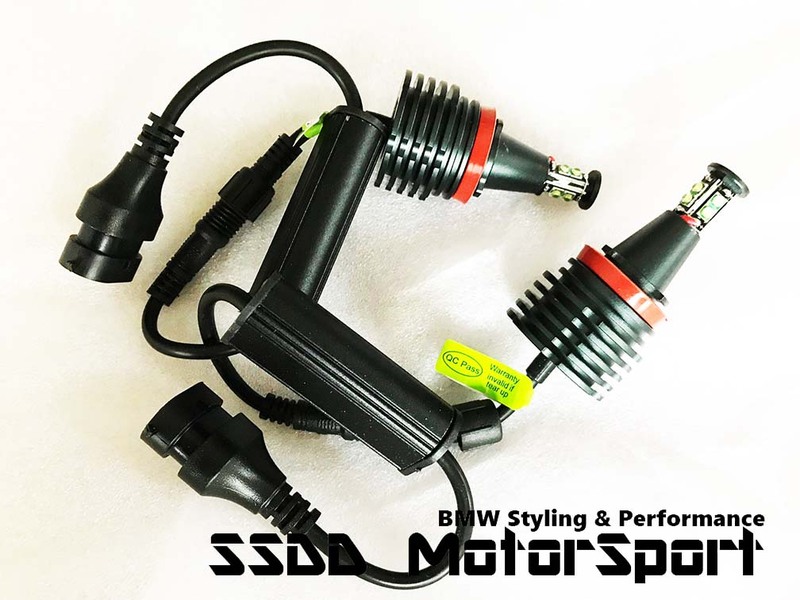 They are plug and play and come with the necessary resistor pack to stop the dash warning messages from showing up (Error Free). 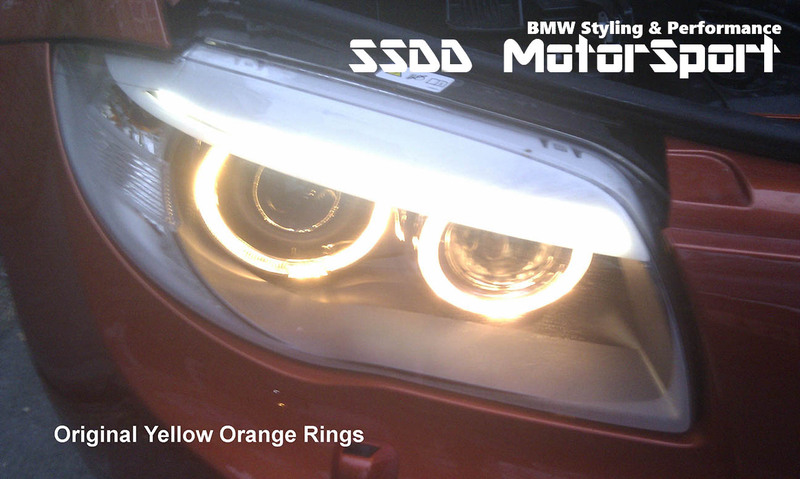 Upgrade your yellow angel eye rings to the ultra modern ice white look! 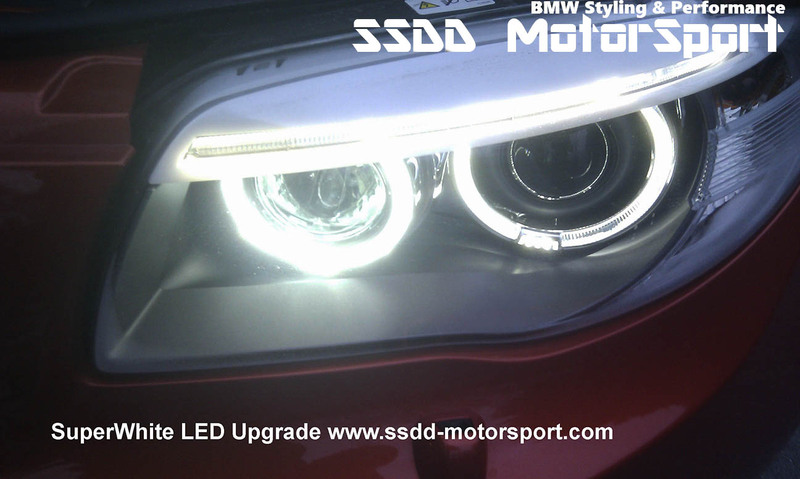 **BMW angel eye halo rings are fibre optical rings that are lit up by the amount of lights from the bulbs travelling inside the rings. 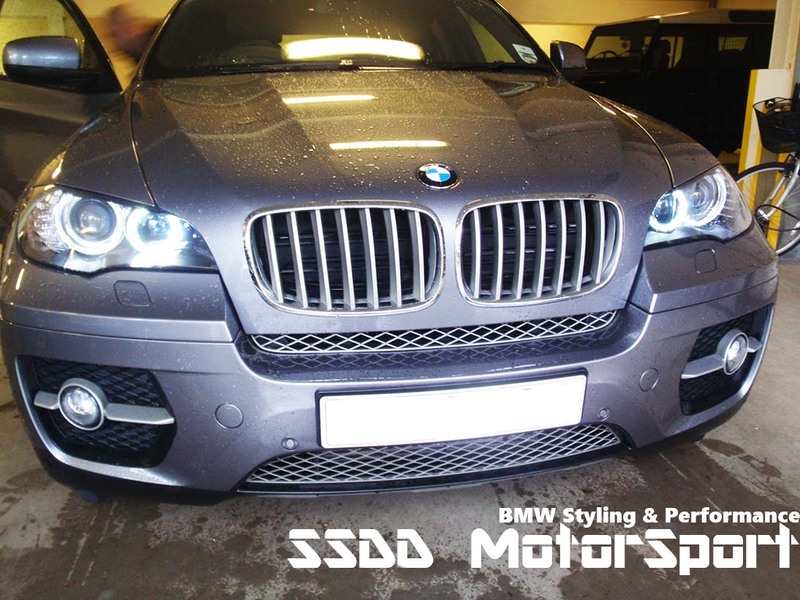 You may notice that on some cars the outer ring is not as bright as the inner ring however this is due to the design of the BMW headlights. 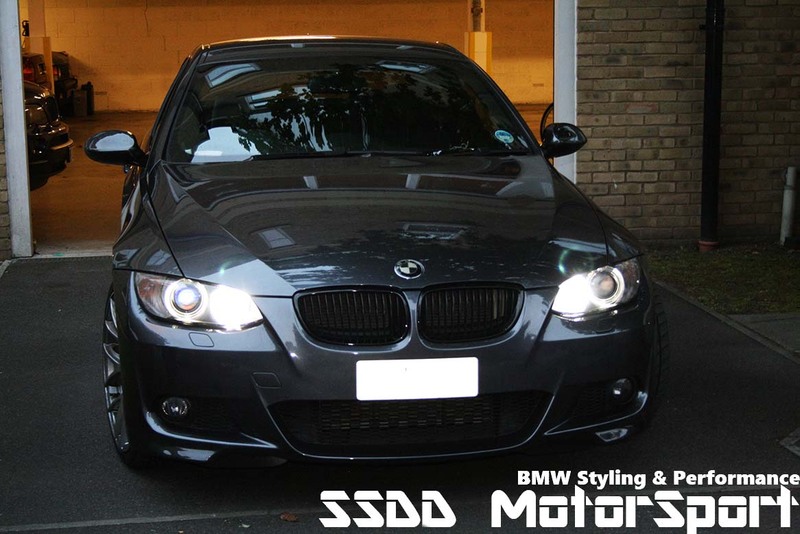 If you lower yourself, imagine in the driving seat coming from the other direction, look directly into the headlights, you will find both rings are actually lit up almost equally well.